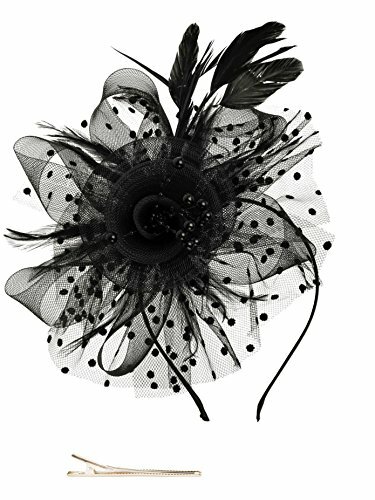 Zivyes Fascinators Hat for Women Tea Party Headband Kentucky Derby Wedding Cocktail Flower Mesh Feathers Hair Clip | What Should I Say? Fascinators Headbands for women,they are great alternative to a traditional hat and a fun way to add a chic and sassy edge to your outfit. Adding a fascinator in different colors to your collection are always a great idea as they never go out of style and they always fit! Finally, don't forget your fascinator for the wedding.